The T.R. SRINIVASAN & N. SANJIVA RAO, I.P.S. Memorial Collection is named in the memory of my grandfather and the father of Mr Deepak Rao, my fellow collector, historian and co-custodian in Mumbai. Over the past twenty years, we have developed a large private collection of old and rare books, newspapers, magazines, posters, maps, photography, comic books and illustrations in Mumbai. These have been acquired through purchases, donations, and bequests of collectors, libraries, retired officials, as well as our family friends. Our repository also includes an extensive archive of colonial government documents, papers, files and reports. Access to our collection is available by private appointment for scholars, curators and other individuals researching their family and service histories. Contributions towards storage, conservation and digitisation are encouraged and solicited. Scanning and other research and bibliographic services are available upon request. The support of individuals and institutions is crucial to the sustainability of independent collectors and researchers like us. 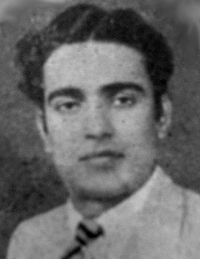 Thachampet Raghavan Srinivasan (1916-1964), originally from South Arcot, worked as secretary at the Madras High Court and at the Royal Army Ordnance Corp (R.A.O.C.) Arsenal Depot, Kirkee, Poona, during World War II. From 1945 to 1960, he worked with the Inspector General and Deputy Inspector General of Police, State Criminal Investigation Department (C.I.D. ), Poona and Bombay. He retired from the Gujarat State Police and later worked for His Highness the Aga Khan. His wife Sundari Srinivasan expired in 2000. Naimpally Sanjiva Rao, I.P.S. 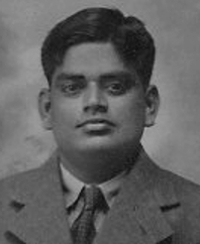 (1919-1975), originally from Mangalore, was specially appointed to the imperial Indian Police (I.P.) while studying economics at Cambridge University in the U.K. during World War II. In 1948, he joined the Government of India Customs Department as Senior War Service Candidate. In 1956, he was specially nominated to the Indian Police Service (I.P.S.). From 1969 to 1975, he served as the Deputy Director, Intelligence Bureau (IB), Ministry of Home Affairs in Bombay. His wife Indumati Rao expired in 1999. The T.R. SRINIVASAN & N. SANJIVA RAO, I.P.S. Memorial Collection would have not been possible without the support of Mrs Bhanumati Rao, Drs Geeta and Kalyan S. Krishnan, Mr S. Venkataraman, Ms Prarthana Patil, and the families of the late Mr J.D. Nagarvala, I.P., Mr K.P. Medhekar, I.P.S. and Mr S.V. Baraokar, I.P.S.